Black Dog & Leventhal, 9780316352253, 320pp. 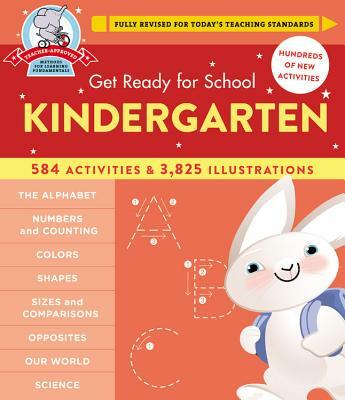 Get Ready for School: Kindergarten introduces early-learning concepts like the alphabet, numbers, colors, shapes, sight words, and essential math skills and more in 300-plus full-color, fill-it-in activity pages. Created by a teacher for parents to explore with their kids, Get Ready for School: Kindergarten -- complete with an answer key and frameable achievement certificate -- makes learning fun and rewarding while boosting self-confidence and a love of learning. Heather Stella is a teacher and holds a masters degree in elementary and special education. She has written more than a dozen titles in the Get Ready for School series, including Get Ready for Kindergarten: Numbers, Time & Opposites and Get Ready for School Kindergarten Laptop Workbook. She lives in Warwick, NY.